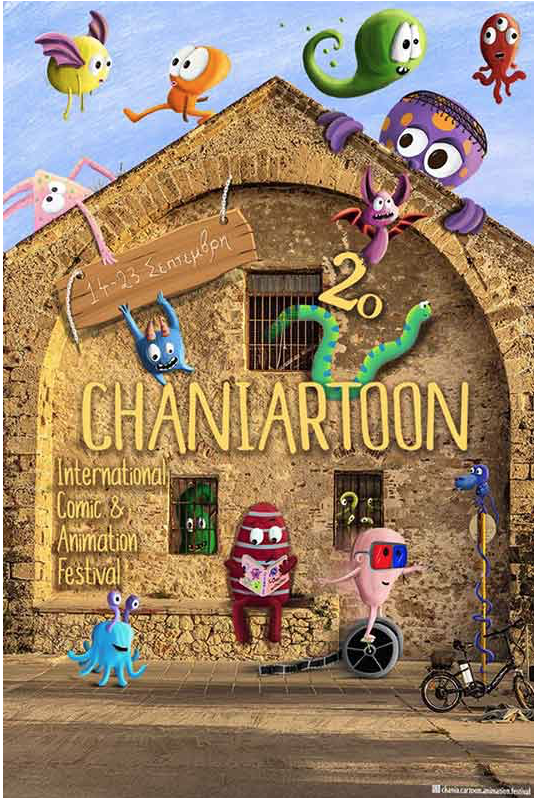 Artists from all over Greece, as well as the emerging talents of the Cartoon Workshop of Chania are taking part – sketches, comics, illustrations, and stop-motion movie sets. – The Sabbionara Gate will host the exhibition – exhibits of comics, illustrations and cartoons. – At the Municipal Cinema “Garden” – opening of the festival, and animation movies are shown there. – At the Centre of Mediterranean Architecture (CAM) – 260 short animation films. 18.00 – 19.00 Investigating Robotics & S.T.E.A.M. The festival is organized by Marios Ioannides with the Skitsos Workshop of Chania, while the co-organizers are the Municipality of Chania, the Region of Chania and the KAM.